Location, location, location. 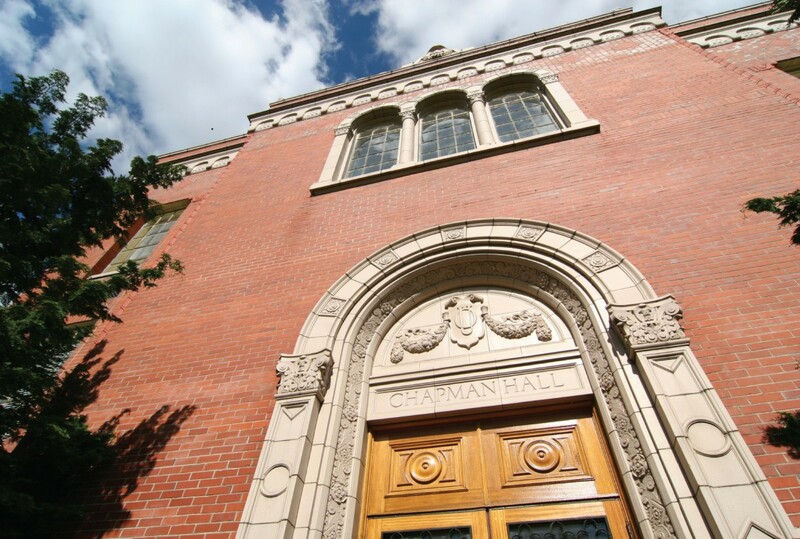 The academic home of the Clark Honors College, Chapman Hall is right off of 13th Avenue, the university’s “Main Street.” It is just down a long, grassy quad from Knight Library; and a hop, skip and jump to the student union. The historic building has reopened following a complete interior remodel. New classrooms are designed specifically for our signature seminar-style classes. Integrated classroom technology, community spaces for students and faculty to meet and mingle, and dedicated student spaces for social and academic activities are all central tenets of the new design to create the home our amazing students deserve. We are so appreciative of our alumni, faculty, and friends who came together to help fund this renovation. Particular thanks go to our incredible donors who have sponsored spaces within the renovated Chapman Hall. Named spaces are still available! Contact Jen Parker [jeparker@uoregon.edu | 541-346-8018] to discuss the many ways you may be a part of this historic renovation project.